BITAC Operations provides 2+ days of education, relationship-building, and uninterrupted private meetings between decision-makers and vendors focused on all aspects of hotel operations in leading hotels across the U.S. It attracts top decision-makers from prominent independent & branded hotels, gaming, resorts; cruise ships among others. International Hotel Technology Forum will be bringing hundreds of leading hoteliers worldwide together in 2019 in Mallorca. Attendees will have the opportunity to gather insights from over 50 presenters who’ll tackle the most pressing issues facing the industry. IHTF creates interactive experiences and delegates can take part in workshops, debates, round-tables, case studies and interviews. HITEC offers a unique combination of top-notch education and brings together the brightest minds and hottest technologies from across the globe to one place. The unparalleled event offers attendees essential education, access to top hospitality technology industry experts and the resources to find cost-effective ways to improve company bottom lines. NoVacancy is Australia’s largest and most comprehensive business event, focused entirely on helping owners and managers discover the latest trends and innovations in hotels and the broader accommodation industry. It’s the one-stop destination where one will find everything they need to refresh guest experience, re-energise operations and maximise profits. HITEC Europe is HFTP’s European extension to the world’s largest and oldest hospitality technology exposition and conference brand- HITEC. HITEC offered a unique combination of top-notch education, and brought together the brightest minds and hottest technologies from across the globe to one place. The unparalleled event offered attendees essential education, access to top hospitality technology industry experts and the resources to find cost-effective ways to improve company bottom lines. ITB Berlin is the world’s leading travel trade show and has truly become a massive knowledge-sharing platform. With thousands of professionals from accommodation providers to hospitality technology vendors, from over 180 countries attended this mega event. It created a fantastic opportunity to network and learn from the best. The event was designed to exceed the expectations of hospitality professionals committed to maximizing their business success. The summit gathered over 300 C-level executives from Hotel operators, Owners, investing companies, regulators, construction companies, architects, financial institutions and associations to meet, network as well as exchange insights of investment strategies, operational efficiency and new technologies needed in the Philippines hotel industry. The AICR (Amicale Internationale des Sous Directeurs et Chefs de Réception des Grand Hôtels) was founded in 1964 on the Côte d’Azur in France by the Chefs de Réception of several famous Grand Hotels. For over 50 years the AICR has developed into a dynamic international organisation represented in 16 countries, 17 sections and continues to grow. AICR provides opportunities to get together, to network, exchange our views and share experiences. HITEC Dubai is the largest hospitality technology showcase event in the Middle East. Modeled on the widely successful HITEC Americas format, the event was attended by every major stakeholder and decision maker of the hospitality industry in the region. HITEC Dubai offered an interesting mix of an educational program and exhibits. Additionally, the show also featured a summit offering one-to-one business meetings. HITEC Dubai was an exciting combination of thought leadership and a great networking platform for the Middle East hospitality professionals. The Congress of Hospitality and Tourism, organized by the Portuguese Hotel Association (AHP) since 1983, is the largest and most relevant Hospitality event held in Portugal, with more than 450 attendees, among senior decision makers, stakeholders and reference keynote speakers. The event offered a unique opportunity to discuss the main opportunities and challenges within the strongest sector of the Portuguese economy. Hotel Management Indonesia Summit focused on enabling innovations for enhanced profitability in the age of margin compression. The conference explored the latest consumer trends, technological advancements and cross-industry best practices to help inspire hotel leaders in their quests to boost financial performances. HX: The Hotel Experience, a Marketplace & Conference for the hospitality industry, brought buyers and sellers together. Virtually every trend and innovation in hospitality was here — from front-of-the-house, guest facing amenities and technologies to back-of-the-house nuts and bolts. HX: The Marketplace & Conference catered to hotel owners, GMs, and hospitality property executives from casinos and resorts, independent and branded hotels, management and purchasing companies, military base lodging, and more. The leading conference in Hong Kong, Hotel Management Asia Summit provided a platform for hotel executives from both corporate level and property level to discuss key operational, branding and financial issues directly impacting corporate and property P&L. Hotel Facilities Management, UK’s ultimate event, showcased the very latest services, features, products and innovations revolutionizing the way hotels are run. In addition to the very best products displayed by the leading suppliers, the expo also hosted expert-led seminars, masterclasses, live demos and provided unrivaled networking opportunities with the industry’s leading innovators. The fifth annual Hotel Management Singapore Summit continued to inspire senior hoteliers in Singapore and surrounding areas where they directly addressed all key management, operational, commercial and financial challenges that impact corporate and property P&L. The conference explored the latest consumer trends and revolutionary business models to help inspire hotel leaders in their quests to reinventing their operations. The Housekeeping Convention highlighted the broad spectrum of the housekeeping department. For many years, the convention has been the meeting place for housekeepers, homemakers, rooms division managers and hotel managers. Professionals exchanged experiences, found solutions for challenges together and looked at new products and cleaning processes live. NoVacancy, Australia’s largest and most comprehensive business event, focused entirely on helping owners and managers discover the latest trends and innovations in hotels and the broader accommodation industry. It was the one-stop destination where one can find everything they need to refresh guest experience, re-energize operations and maximize profits. HITEC offered a unique combination of top-notch education and brought together the brightest minds and hottest technologies from across the globe to one place. The unparalleled event offered attendees essential education, access to top hospitality technology industry experts and the resources to find cost-effective ways to improve company bottom lines. Hotel Management Thailand Summit a neutral one-stop strategy platform, directly addressed all key management, operational, commercial and financial challenges that impact corporate and property P&L. This first-of-its-kind hotel investment conference created a true knowledge-sharing platform that offered participants a unique and enriching experience. The conference brought together prominent leaders from the hospitality industry to share their experiences and leadership lessons, as well as innovators and change-makers across the globe from different industries and sectors to talk about best practices and their most innovative concepts. Building on the success of the past 15 years, IHTF 2018 brought together hundreds of leading hoteliers worldwide. The aim was to gather hospitality leaders to share success stories and tackle common challenges. IHTF created an open, impartial venue where attendees were encouraged to share their personal stories and forge new business relationships for the future. HITEC Amsterdam, HFTP’s European Extension to the World’s Largest and Oldest Hospitality Technology Exposition and Conference Brand, offered a unique combination of top-notch education and a hospitality technology specific exposition. Sessions were led by industry peers and experts, and the unparalleled expo showcased the latest industry products and services from companies all over the globe. HICSA is the most influential hotel investment conference in South Asia, valued for its networking opportunities and high-level contacts as much as for its content-rich sessions. Having rightfully created a niche for itself, HICSA brought together an impressive conglomeration of business leaders, think tanks and industry top brass, and has undoubtedly become one of the most coveted forums for all industry players in the region. The AICR (Amicale Internationale des Sous Directeurs et Chefs de Réception des Grand Hôtels) was founded in 1964 on the Côte d’Azur in France by the Chefs de Réception of several famous Grand Hotels. Over more than 50 years AICR has developed into an international organization represented in 15 countries. AICR Congress Zurich 2018 offered a wonderful Zurich experience as well as provided an insight of Swiss hospitality. The Congress of Hospitality and Tourism, organized by the Portuguese Hotel Association (AHP) since 1983, is the largest and most relevant Hospitality event held in Portugal, with more than 450 attendees, among senior decision makers, stakeholders and reference keynote speakers. The event offered a unique opportunity to leverage your company’s positioning within the strongest sector of Portuguese economy. The Hotel Management Indonesia Summit addressed revenue generation, service delivery and operational skill sets to differentiate between senior hoteliers in order to drive financial results and further growth opportunities. Industry leaders shared their best practices and recommendations with their peers. HITEC Dubai is the largest hospitality technology showcase event in the Middle East. Modeled on the widely successful HITEC America’s format, the event was attended by every major stakeholder and decision maker of the hospitality industry in the region. HITEC Dubai offered an interesting mix of an educational program and exhibits. Additionally, the show also featured a summit offering one-to-one business meetings. HITEC Dubai was an exciting combination of thought leadership and a great networking platform for the Middle East hospitality professionals. HX is North America’s largest hospitality trade show for hotel and restaurant owners, executives, directors, chefs, and GMs from across the hospitality spectrum, and manufacturers and marketers of all things hospitality. The show offered unmatched networking opportunities with fellow attendees, industry leaders presenting educational sessions, and the local, regional and national associations that host HX. The fourth annual Hotel Management Singapore Summit continued to inspire senior hoteliers in Singapore and surrounding areas where they discussed on how to redouble their efforts in revenue creation, service improvement and cost control to drive gross operating profit (GOP) and create an acceptable return on investments (ROI) for hotel investors. Hotel Tech Live is the UK’s most exciting event for the technology, systems, products, and services that are breaking new ground in the hotel sector. Hotel Tech Live provided an unprecedented opportunity to find the very latest cutting edge supplies designed to create a truly unforgettable experience for customers, from the innovators behind these industry-transforming solutions. The Hotel Management Asia Summit continued to address all operational/ management challenges for hotel executives in Greater China where they discussed key operational, branding, and financial issues directly impacting corporate and property P&L. HITEC Toronto, the world’s largest hospitality technology show, brought the brightest minds & hottest technology from around the world to one place. It offered a unique combination of top-notch education and the world’s largest hospitality technology exposition, including sessions led by industry peers and experts. 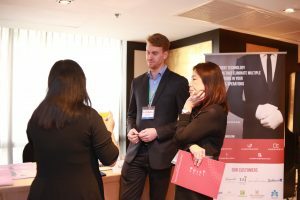 The fourth annual Hotel Management Thailand Summit continued to engage senior hoteliers in Thailand and surrounding areas where they discussed how to generate revenue and boost operational efficiency to thrive. This webinar talked about technologies that are starting to fundamentally change the way Housekeeping Operations are run in hotels. It also discussed emerging technologies for the front-office that can help drive profitability. BITAC Independent employed a unique combination of engaging panels, pre-qualified and arranged meetings. The three day idea exchange included educational sessions focused on the needs of independent hoteliers and offered plenty of time to network with hoteliers and vendors in the unique and relaxed atmosphere. The BITAC Tech, Sales & Operations provided 2+ days of education, relationship-building, and private meetings between decision-makers and vendors. It focused on all aspects of hotel technology, sales and operations in leading hotels across the U.S. The International Hotel Technology Forum 2017 was held in Paris. The event gathered hundreds of hoteliers working in technology, marketing and sales to offer a holistic programme of debate and insight. Attendees heard over 50 presenters tackle the most pressing issues facing the industry. IHTF created interactive experiences and delegates took part in workshops, debates, round-tables, case studies and interviews. 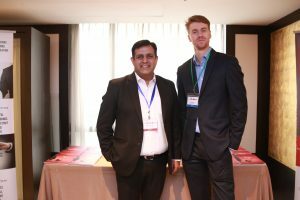 Hotel Operations Summit India (HOSI) offered valuable perspectives on improving operational efficiencies, enhancing service standards, optimizing revenues and increasing bottom lines. It focused to empower today’s hospitality leaders through enabling discussions on management and operations-related issues, the rapidly evolving marketplace, latest industry trends, benchmarking and best practices. HITEC Amsterdam offered a unique combination of top-notch education and a hospitality technology specific exposition. Sessions were led by industry peers and experts, and the unparalleled expo showcased the latest industry products and services from companies all over the globe combined with the intimate opportunities to connect with fellow professionals. The National Congress of Hotels and Tourism Conference organized by the Congress of Portugal provides an opportunity for a constructive reflection on tourism and hospitality to industry professionals. The event this year was much more than just a Hospitality Congress conference; it was a real forum to discuss and reflect on the tourism policies and geo-strategic position of Portugal in the world. 3. Effective capture and use of guest preferences will drive loyalty and a repeat customer booking directly is far more profitable than a new customer through an OTA. 4. Systems like KNOW Housekeeping give hotels a way to manage twenty four hour check-in and check-out and thus maximise room utilization while delighting guests. 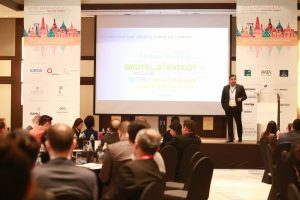 The leading conference in Singapore that directly addresses all operational/management challenges, Hotel Management Singapore Summit provides a platform for hotel executives from both corporate level and property level to discuss key operational, branding and financial issues directly impacting corporate and property P&L. Hosted by HVS and co-hosted by Ministry of Tourism, Republic of Indonesia and Indonesia Investment Coordinating Board (BKPM), THINC Indonesia provides a unique platform to deliberate on the development and direction of the hotel and tourism industry in the region. Having already established its reputation of being a one-of-a-kind hospitality event in Indonesia, the two-day conference creates immense value for all participants and delegates, who stand to gain vast knowledge in the areas of experiential learning and productivity enhancement from their regional and international counterparts. In addition to offering all delegates and participants, immense opportunities to network, learn, and share knowledge and best practices with their regional and international counterparts, the event is widely acknowledged as breaking the stereotype owing to its exotic island location of Bali and a relaxed ambience. AICR stands for International Association for Deputy Managers and Front Office Managers of Luxury Hotels.